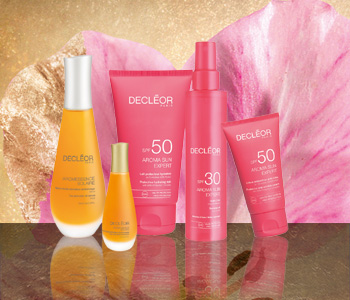 Get targeted care for ageing skin in the sun with the Decléor Aroma Sun Expert skincare collection. Created for sensitive and mature skin, but perfect for all skin types, the Decléor Aroma Sun Expert collection combine effective UVA/UVB protection with a unique DNA protection complex. This boosts the skin’s natural defence system against the sun’s rays, preventing premature ageing. Suitable for all skin types, the Aroma Sun Expert range will keep skin protected, smooth and youthful in the sun.